This Knucklehead Won Tix To The Deadspin Awards. Here's What You're Missing. 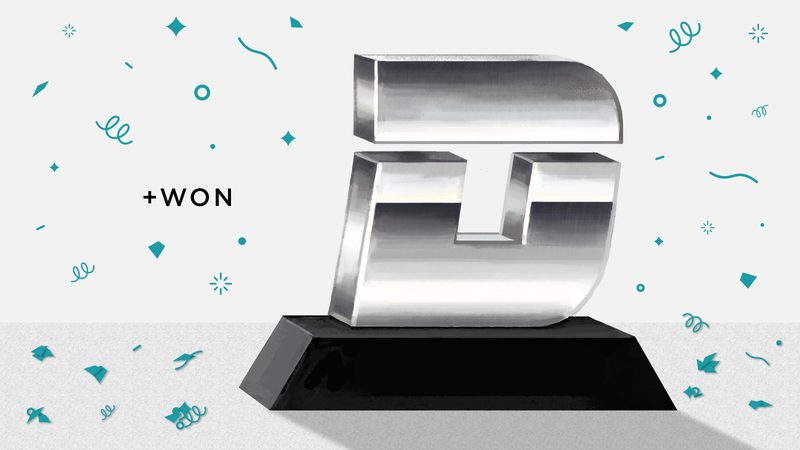 A couple of weeks ago, we asked you to submit your own made-up award category, with yourself as the nominee, for a chance to win two tickets to the first-ever Deadspin Awards in NYC on July 14 — and boy did you guys deliver. Last year some friends and I drove to Pittsburgh to watch our beloved Brewers take on the Pirates. Being from Milwaukee, it was imperative that we pregame before entering the stadium. Between one of the innings the Pirates hype team came out to give away free hot dogs. These weren’t just handed out, however; they were blasted out of some sort of hot dog cannon. None of us were paying attention to what was going on until a dog wrapped in foil fell from the sky, hitting my leg and missing my sack by about a half of an inch. Since I was hungry, I didn’t bother to read the note on the dog which was wrapped in foil and clear packing tape. The measures the Pirates took to secure the hot dog should have told me maybe there was a reason for the tape/foil, but alas — I didn’t realize or care. I then proceeded to eat the dog, which to my memory was very dry and cold — but I chalked that up to the fact they were probably prepared innings earlier. It wasn’t until I finished eating the dog that a Pirates fan pointed out there was a note on the wrapper saying “take this to any concession stand to redeem for one hot dog.” He then proceeded to tell me that those were likely used for the entire season, and that they might not even replace them every season. I took the empty wrapper up to the concession stand where they asked me what happened to the hot dog inside. I will never forget the look on the kid’s face when I told him I had just consumed a hot dog that was at the very least five months old. Your winner, ladies and gentlemen! Congrats and I’m sorry. Out of respect to Andy, we will not be serving any hot dogs, five months old or otherwise, at the Deadspin Awards. That’s a lot of worsts! Here’s hoping that Best Sports Baby is the breakout award of the night, and can warm even the ice-cold hearts of the Deadspin readership. Tune in a week or so after the 14th for a recap of all the hijinks you missed, and congrats again to Andy for winning tix to the awards!